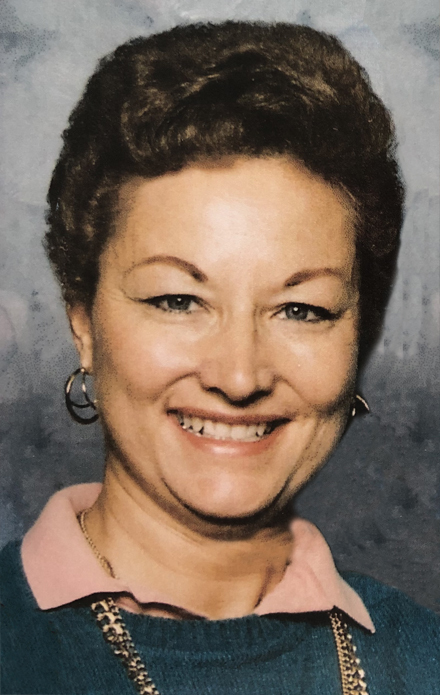 Marilyn Randall, 76, formerly of Weiser, died on April 9, 2019 in Jerome, Idaho. A Celebration of Marilyn's Life and Graveside Service will be held on Thursday, April 18, 2019 ~ 11:00 a.m. at the Eagle Valley Cemetery in Richland, Oregon. Marilyn Joyce Billings was born in Payette, Idaho on January 29, 1943. Her parents, Ralph Andrew and Josephine Nora (Krizek) Billings were already the parents of Corrine Rose Billings, aged 13, when Marilyn made her surprising arrival. Marilyn began life as a busy child with involvement in school, church, and other community organizations, often with her best friend Wanda at her side. In high school Marilyn met Wesley Lloyd Randall from Richland, Oregon and her fate was sealed. Marilyn would say that “Wes came back to high school and went through again with me” as they courted and enjoyed dating while attending sock hops, games, prom, and so much more. Marilyn and Wes married on June 4, 1961, in Payette and welcomed two sons, Tony Lynn Randall in 1962 and Timothy Andrew Randall in 1965. Wes and Marilyn loved their boys and the grandchildren and great grandchildren that eventually followed. The couple purchased their first home in Weiser, Idaho, and later spent five years in Exeter, California. In 1979, the Randall’s returned to live in Weiser. One day Wes took Marilyn for a ride to show her the home he had just purchased for them. A test of her love and patience, the dilapidated property would have scared most women off but with the help of their sons, the couple created a home that has been loved and enjoyed by three generations of Randall’s who call it simply “Weiser”. Marilyn’s craft projects became a small business that overflowed their home and eventually led to the opening of “The Flower Basket” in Weiser. Over many years the business expanded into an adjacent building and specialized in fresh and silk flowers, novelty items, gifts and even sun tanning! The community made it a point to check out the specialized window displays Marilyn created for each season and holiday and enjoyed stopping in to purchase gifts or just visit with Marilyn and her staff. The Flower Basket was the place to go for students needing corsages or boutonnieres, couples celebrating their weddings and anniversaries and those seeking to honor the passing of friends and loved ones. Marilyn, her friendly smile and beautiful flowers became legend in Weiser and when she eventually sold the business in the 1990’s, she was sorely missed. Marilyn’s skill in business and friendly nature led her into selling insurance and helping people plan their financial future but her creative nature could not be suppressed. Her home once again overflowed with her artistic pursuits of sewing, quilting, painting, gourds, and more. Eventually Wes’s health began to decline, and he passed away December 6, 2015. After 54 years of marriage Marilyn was lost without him but bravely forged on with the love and support of her family. She made new friends and her sweet personality and positive attitude made her a favorite of so many who cared for her. On April 9th, 2019, Marilyn died peacefully in her sleep ending a long battle with the dementia that took so much from her. Many of her memories faded but she always remembered Wes and their life together in Weiser. They loved to say “we didn’t miss much” in their busy lives and we are certain they are enjoying a new adventure together. Marilyn was preceded in death by her parents, sister, husband and youngest son, Tim. She is survived by her oldest son, Tony (Michele) Randall, grandchildren Eric Randall, Katrina (Caleb) Morris, Scott Randall, Samantha (Chris)Van Alstyne, and Andrew Randall, great grandsons Benaiah and Jeffrey Morris, Bryce Holtzclaw and Mathew Van Alstyne. Beloved in-laws, John (Dorothy) Randall, Frank (Shirley) Randall, Ethelyn (Robert) Williams, and Clinton (Glenda) Randall, nephews, nieces, and many good friends.